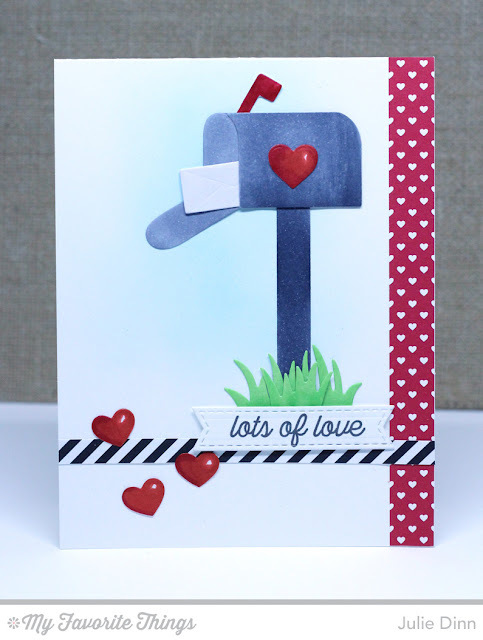 I couldn't resist using the fabulous Mailbox Die-namics for the new Sketch Challenge. 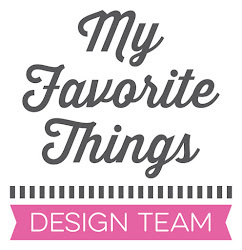 I just love this die! I die-cut the pieces in X-Press It card stock and then coloured them with Copics. The sentiment is from the adorable Love Is in the Mail stamp set, and that gorgeous patterned paper is from the Hearts & Stripes Paper Pack. I got that mailbox die and love it. Your card using it is awesome too! I love the pretty layout of the card and the hearts you added.